We never grow out of reading together. Its never too early to start reading with your little ones. Enjoying books from birth introduces natural sounds and patterns of speech, and is an expression of mutual ease and love. 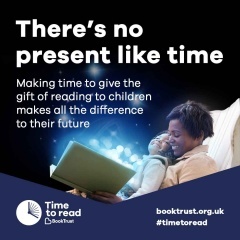 And as they grow, reading together helps language development, actions stimulate the brain and help muscle development, continuing to be a fun and rewarding experience, inspiring a love of reading, creative play and bonding. From the sunlit surface to the darkness of the deep, this book explores the fascinating life forms that exist in our oceans. 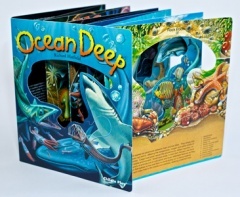 Peer in to the depths of this tunnel effect book and investigate each zone of the ocean. 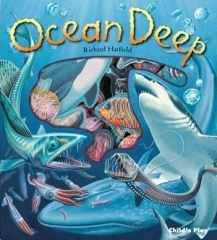 After reading the book, discuss which undersea creature you would like to be and why. Talk about the biggest word you have each learned from the book. Can you say it five times fast? Read Sardines of Love or Mayday Mouse for more nautical adventures! Does the dragon behave as you would expect? What about the Princess? Discuss. 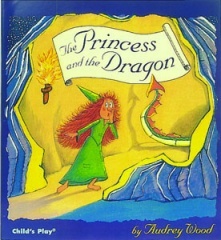 Read The Princess and the Pea and meet more princesses who break stereotypes! 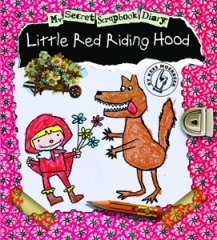 An entertaining diary format based on much-loved fairy tales. Pop-ups bring the book to life, perfect for engaging early readers. Multi-media illustrations and handwritten text complete the illusion of a real scrapbook diary. Talk about your favourite page. What did you like about it? Was the pop-up breath-taking? Did you find the diary entry funny? 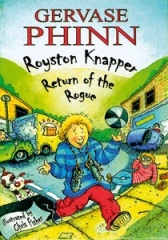 Try retelling the story as though you were the main character. Talk about the emotions that you were feeling at different parts of the plot. 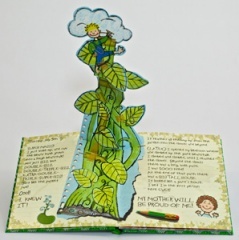 Make your own scrapbook based on your favourite story. Work together to decorate the pages with stickers, photos and notes. 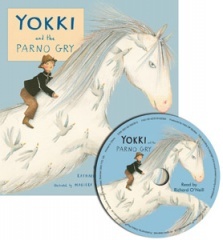 When a Traveller family experiences a run of bad luck, an imaginative boy called Yokki lifts their spirits with tales of a magical white horse. 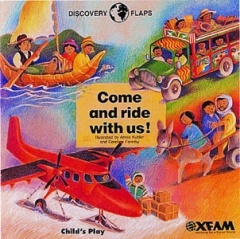 A traditional Traveller-family folk tale which inspires hope and celebrates creativity. 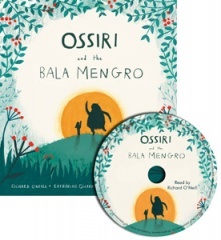 These two picture books were told by a Romani storyteller together with a picture book author to positively reflect Travelling cultures. Discuss your dreams and goals together. Talk about your heroes and why you admire them. Make a poster about what you would like to achieve and put it up on the fridge. Talk about places you would like to visit and why. Pretend that you are going on holiday and the child that you are reading with is a travel agent. Choose a page and ask the child to persuade you to visit that country based on what they see. On a map, place a pin on a country that you would like to visit. Go to your local library to read books about it. Try to find out how far it is from where you live and how many people live there. Did any of your favourite characters originate from that country? Write about or draw foods, sports and arts that are popular in that country. Its important to read together, even after a child has moved on to independent reading. 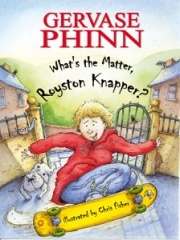 We have some chapter books in our range for older readers, click HERE to browse them. Take it in turns to read for five minutes each. Create a nest of duvets and cushions together before snuggling up to read. If you finish reading a chapter together, but it is too late to read any more, talk about what might happen next.